Listen to, and be sparked by, pioneers who helped Lama Thubten Yeshe introduce Tibetan Buddhism to the West. Judy Weitzner, Jon Landaw, Judith Hunt, and Chuck Thomas will share stories of their personal experiences with Lama and encourage others to do the same. 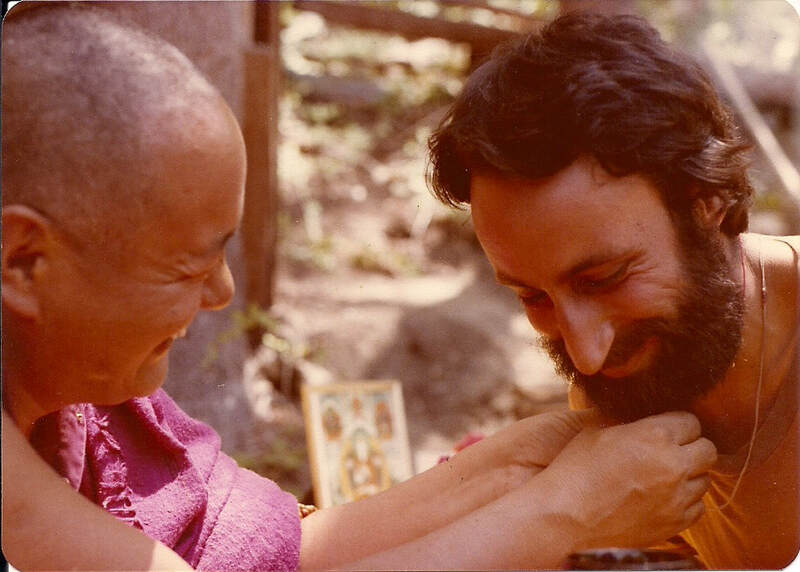 35 years ago, March 3, Lama took his last breath in California. Come and celebrate his life and impact together. Dal Bhaat, chai and apple pie will be sentimentally served. "My approach is to expose your ego so that you can see it for what it is. Therefore, I try to provoke your ego. There’s nothing diplomatic about this tactic. We’ve been diplomatic for countless lives, always trying to avoid confrontation, never meeting our problems face to face. That’s not my style. I like to meet problems head on, and that’s what I want you to do, too." -- Lama Yeshe, from From Q&A in Ego, Attachment and Liberation. Lama Thubten Yeshe was born in Tibet in 1935. At the age of six, he entered the great Sera Monastic University, Lhasa, where he studied until 1959, when the Chinese invasion of Tibet forced him into exile in India. 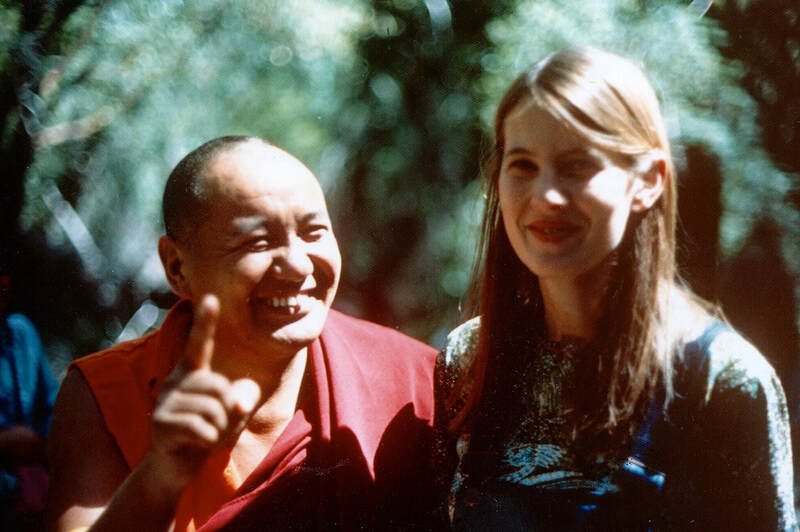 Lama Yeshe continued to study and meditate in India until 1967, when, with his chief disciple, Lama Thubten Zopa Rinpoche, he went to Nepal. Two years later he established Kopan Monastery, near Kathmandu, in order to teach Buddhism to Westerners. 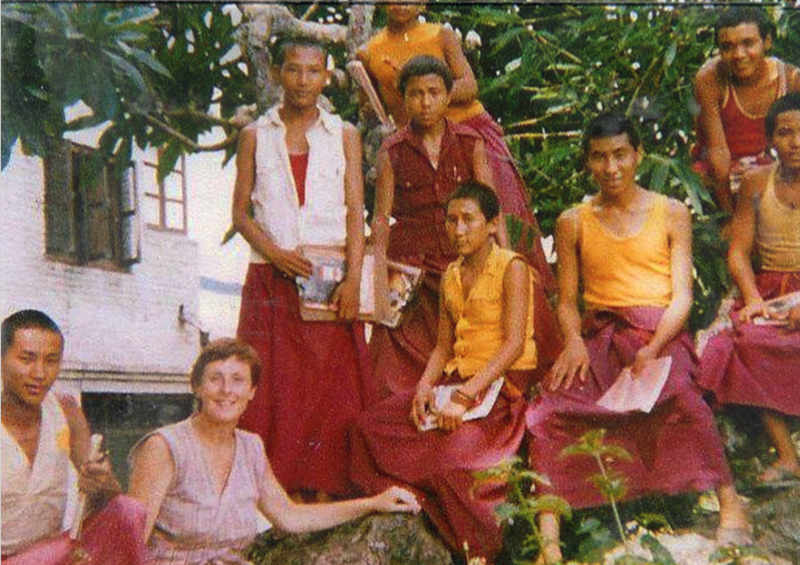 In 1974, the Lamas began making annual teaching tours to the West, and as a result of these travels a worldwide network of Buddhist teaching and meditation centers—the Foundation for the Preservation of the Mahayana Tradition (FPMT)—began to develop.